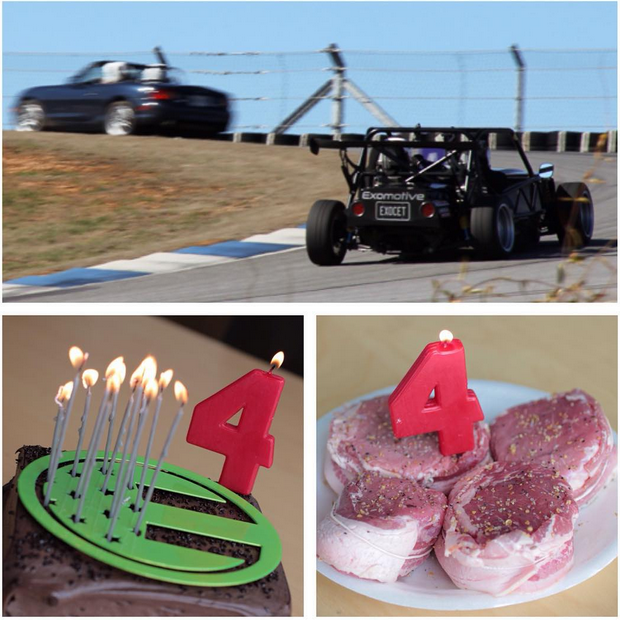 Exomotive - US Manufacturer of Exocars & Kit Cars | Exomotive turns four today! Time flies when you’re having fun! Happy 4th Anniversary to Exomotive! 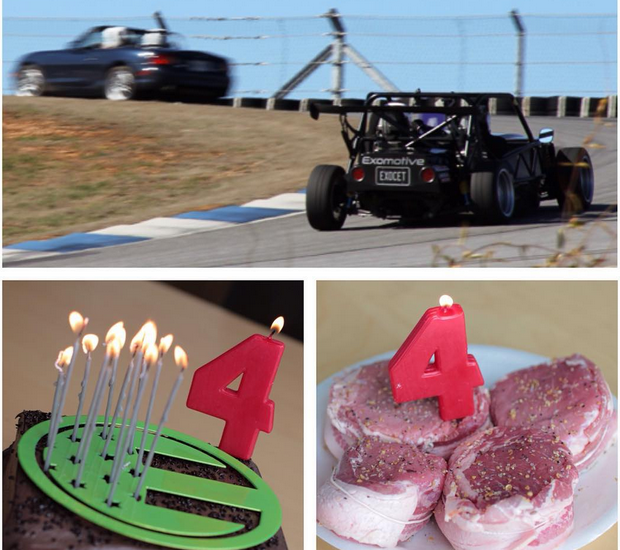 We’re celebrating with steaks, cakes, and a test day at AMP with DIYAutoTune.